Readers must have noticed that Baba declared Himself as Bhavani, who gave a sword to Shivaji and commissioned him to save Sanathana Dharma from forces inimical to it. He said, "This Siva-sakthi is doing the same, now. I am giving the sword of Courage into the hands of these Pundits and commissioning them to share their wisdom and joy with all men, as Sanathana Dharma dictates." That word "Siva-sakthi" bore the large gathering, who heard it, on the wings of memory to the sixth day of July, 1963 - the time about 7 pm - when a miracle of miracles happened in the Prayer Hall of Prasanthi Nilayam. That was a seismic event which widened the bounds of Faith and deepened the ardour of Devotion. So, I shall describe it in some detail. It all began on the evening of 28th June, when Baba asked me to announce that He would not grant interviews for a week. No one could guess why; for, there was nothing out of the ordinary in the events of the day. On Saturday, 29th June at 6.30 am, while moving into His room on the first floor from the southern verandah, Baba spoke of "reeling sensation" and suddenly fell on the floor. I was with Him then; but though I held Him with my hand, I could soften, only slightly, the impact of the fall. Even as He fell, the left hand clenched its fist; the left leg stiffened; the toes became taut. Evidently, He had taken upon Himself in His Infinite Mercy, the stroke of paralysis destined to incapacitate or perhaps kill, some saintly person! Having seen Him while taking on the typhoid fever, the gastric pain, the bleeding ear, the mumps, and even the stroke, I awaited with Raja Reddy the moment of His coming-to, when we could get from Him the name of the person and of the place to confirm our surmise. The face twitched and muscles drew the mouth to the left ... the tongue lolled. The left eye appeared to have lost its sight. We whispered to each other about His postponement of interviews for one week! Baba seemed to have known that some one had to be rescued that morning. As the clock ticked the minutes away and the hour hand moved relentlessly on, our anxiety thickened into fear. Gloom filled the room and spread gradually all round the Nilayam. Dr. B.G. Krishnamurthi said that Baba was 'in coma', that Baba showed symptoms of 'apoplexy'. The jaws were locked tight; the pulse rate was ranging from 84 to 100. 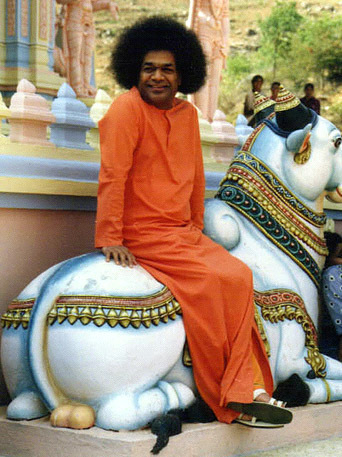 That Doctor while treating patients in the Sathya Sai Hospital placed more reliance on the curative value of the Vibhuthi blessed by Baba than on the efficacy of the drugs the shelves contained. Now that He found Baba stricken, he could only pray to Him to cure Himself. Meanwhile, some one who feared that the illness was genuine hastened by car to Bangalore (106 miles off) and brought with him, late at night, Dr. Prasannasimha Rao, the Assistant Director of Medical Services, Mysore. Let the Doctor relate what he saw. I shall quote from his letter. "It was on the afternoon of the 29th of June that I was summoned urgently to the feet of Sri Sathya Sai Baba at Puttaparthy. I sped on, in the company of my brother-in-law Sri Kesav Vittal, to witness a spectacle of extreme pain and suffering at Puttaparthy. We reached the precincts of the holy place after midnight. Anxious as I was to learn the full details of the incident that caused the summons, it was His Will that I should contain myself till the next morning. 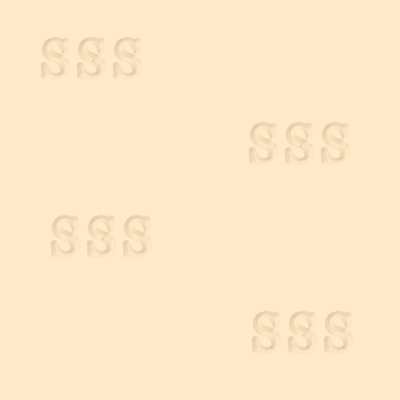 Next morning, when I was taken into the room on the first floor of the Nilayam, I saw there lying prostrate the physical form and body of Sri Sathya Sai Baba, in a posture assumed by a patient, in coma. Respiration was hissing, at times; the left side of the body, the upper and lower limbs were rigidly held in a position of extensor tone. There were gross twitchings of the face, occasionally on the right side. The head would be suddenly tossed to one side or the other, with a groan of anguish and the utterance of un-understandable syllables, which was the result of an impairment of the faculty of speech; in short, it was a sort of jargon. After an analysis of the signs and symptoms and the history of the case, I had to infer that the semi-comatose conditions and the posture assumed could only be due to a space-occupying condition in the cranium with localizing signs of predominance over the right half of the brain in the frontal area. The differential diagnosis of such conditions in a person of about thirty years, after excluding remote possibilities, pinned me down to that of 'tubercular meningitis', with perhaps a tuberculoma, silent for a long time. The treatment was one of energetic antitubercular measures, with symptomatic supportive treatment by intravenous, substitution and replacement to maintain ionic balance and nutrition. A diagnostic lumbar puncture was an immediate necessity, for the professional assessment of the case. My attempts to administer glucose solution intravenously was, by a gesture and movement of the body, foiled completely by Baba, leaving me utterly bewildered and helpless, in the face of His Will. Having completely resigned to His Will, I returned to Bangalore on Sunday evening bereft of all hopes of having His Darsan again, in the physical form assumed by Him for this Incarnation." Baba was 'unconscious' all the time; He evinced only faint gleams of awareness as when He pushed away the Doctor's hand when the injection was attempted. The body perspired a great deal but He could be given only a few spoonfuls of water, the spoon being inserted, after pressing the jaw apart. He was apparently severely exhausted. Moreover He suffered from what Dr. Krishnamurthi named 'angina pectoris', paroxysms of intense pain, originating at the breast bone and radiating thence mainly to the left shoulder and arm. The physical frame groaned. Inmates of the Nilayam standing tip-toe under the window heard and wept. To relieve the exhaustion, we could give only occasional drops of glucose water of lemon juice, forcing apart the tightly clenched teeth. On Monday, Baba intensified the atmosphere of tragedy. Summoning near His bed some residents of the Colony, He gestured and lisped to make them understand that the tasks allotted to them should be carried out with undiminished ardour. It was a heart-rending experience - to catch those hazy sounds and interpret them, for the words emerged from a mouth gone awry and a tongue turned left. He warned us not to frighten the other devotees with our fear. "Deal gently with them. Talk sweetly to them", He seemed to say. "Give them Vibhuthi, ask them to leave for home and come some other time". He declined medicine and nursing, brushing aside angrily the spoon which had a few drops of coramine. He insisted on the bathroom itself though He had to be lifted or drawn over two door sills. The pulse registered danger after each such hazardous journey, we and the Doctor could only wring our hands and pray. The fact that it was a stroke of paralysis could not be announced and so, a variety of rumours circulated in and around the Nilayam to explain the ominous gloom. The wildest of these was that Baba was under the maleficent influence of black magic! Others surmised that He had gone into Samadhi; still others guessed that He had taken a vow of silence and inaction. Perhaps the villagers of Puttaparthi were more competent interpreters, for they had known of His 'unconscious' days at Uravakonda when He had 'gone out' of His Body to save a devotee from calamity. They said, Baba was about to enter a new chapter in His History, as he had done after that incident at Uravakonda while in His teens. Tuesday arrived. Baba showed signs of consciousness, more often and for longer periods. Referring to the visit of the Doctor, He said, "He can only take Darsan and leave. Injections are inadvisable in such cases. This will last five days in all. Tomorrow, the pain will be less. I had two heart attacks, these three days. You must have heard the groans. No one else could have survived". He gestured and smiled. Dr. B. Sitharamayya, who was the Medical Officer in charge of the Nilayam Hospital, had been summoned by a telegram. He came on Tuesday evening to the bedside. Tuesday night was filled with fear, for Baba groaned causing us excruciating agony. Wednesday dawned, dark and dismal. About 9 am, Baba, who was extremely exhausted, showed signs of sinking. He struggled for breath; hiccups tormented Him. The 'parents' could not contain their sorrow; the 'brothers' and 'sisters' were wallowing in grief. Rooted in the faith that Baba was Divine, we tottered and wept aloud like panic-stricken babies. They could not decide whether, at this awful hour, they could stoop to the sacrilege of bringing to Prasanthi Nilayam a Doctor from Anantapur or Bangalore. Was it right? Was it pardonable? Was it not urgently needed? Could any doctor be of use? What a tremendous responsibility this ... on our aged shoulders! We gathered under the mango trees and, with tears streaming down our cheeks, weighed the pros and cons. Just then, glad tidings arrived! Baba had regained consciousness; the hiccups had lost their rigor - two hours later, we had a tragic jolt. His breathing worsened; He gasped and rolled. His feet and palms became cold. We prayed to Him amidst sobs; we got no sign to encourage us. The Doctors sat on the floor and leaned against the wall, resting on their hands their heavy heads. For full four hours, Baba broiled us thus, in mortal anguish. Then He opened His eyes looked around, and smiled at us! About an hour later He beckoned us and told us in His pathetically ineffective vocabulary, supplemented by gestures with the palsied right hand, the events of those four hours. We understood Him to say. "The mind is a thousand petalled lotus, each petal directing it outward into some facet of the objective world. In the very center of the lotus is the Flame of the I principle. The flame is ever unsteady, veering now towards one petal, now to another, but if through the exercise of Will you keep it steady and straight, the I is unaffected by the events that happen to the body." Some one quoted Sruthi (Vedas) and said, "Neela thoyada madhya-sthaad, vidyullekheva bhaaswaraa, thasyamadhye vahni sikhaa" (In the center of the blue cloud, shining like a streak of lightning, with the tongue of fire in its center) Baba nodded approval. "During those four hours, I held the flame straight. I was away, apart. I was watching the body from above, Myself unconcerned, unaffected." (Even at Shirdi, in 1886, Sai Baba saved Himself for the world from a critical illness, by deciding, to take 'His prana high'). About 7 pm, Baba gestured: "All of you should sleep round here, this night"! It betokened a crisis. "Will there be a heart attack, this night?" Some one dared to enquire. Baba replied 'yes'. That night was the longest, the darkest and the most dreadful in the lives of us, fifteen mortals. The heart attack happened; we listened to the groans. We prayed to Baba to assuage the pain and assure us of victory in the struggle. At last, the Day of Relief. Thursday, the sixth day, when as He had told us, the pain 'will lose its severity' and the attacks on the heart 'will cease'! The Sun rose over the hills across the Chithravathi. Baba announced that the pain as well as the 'burning sensation in the chest had gone'. The very first order He gave after this declaration was: "Arrange now for all the devotees to get Darsan; they are broken by despair". We pleaded that the Darsan be granted two days later, on Saturday (Guru Pournima Day) when thousands gather at the Nilayam from all the States of India to pay homage to their Guru, Master and Teacher. We hoped that He could recoup Himself more to bear the strain that Darsan involves. Baba asked me to announce at the Prayer Hall that Darsan will be granted to all on Guru Pournima. I had to do it after the morning bhajan sessions at 9 am., Thursday. Baba reprimanded me, for I came away making a short statement, without any detail about the illness. He insisted on my giving the assembled Bhakhtas an accurate description of His physical condition, so that they are saved from sharp and sudden shock, at the sight. I announced the condition of His leg, hand, eye, tongue, and face in Telugu but I broke down when I saw the agony on the faces that learnt for the first time the awful truth. I had to repeat the announcement in English, Kannada, Tamil and Malayalam, but I could not. That night, Baba conveyed another bit of good news; "The clot in the brain is dissolved." We prayed to Him to 'will' to be His normal self: He was our refuge in distress; so when the distress was caused by His own play, that was the only prayer we knew. Throughout Friday and even during the morning hours of Saturday, we attempted to persuade Him to give up the plan to give Darsan in the Prayer Hall on the ground floor. Some one appealed to Him to allow us to announce to the gathering that He will render Himself hale and hearty before Dasara, a hundred days ahead; another ventured to pray that He should cure Himself fully by Krishna Janmashtami (celebration of Krishna's birthday), which was forty days later. Baba seemed to resent the proposals; He only shook His head. The Prayer Hall was packed, as never before. People from many villages around Puttaparthi who had come to know that Baba was being brought down came in large numbers. 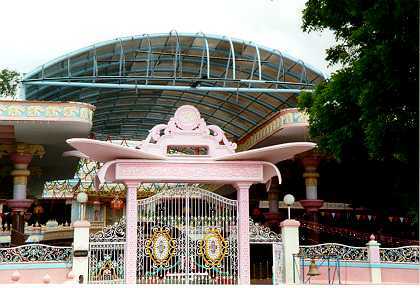 The broad spaces around the Nilayam were filled. Baba was carefully brought down the circular steps (18 in all) to the ground floor. Major Dr. M. Bhanu of the Government Hospital, Palladam, writes, "I saw Baba moving out with the help of three Bhakthas, His left leg lifted gently over the doorstep by one of them. He had a kerchief around His head to bind the halo of hair that had gone awry and to hide the twitching of the facial muscles, from the eyes of devotees. His gait was the characteristic hemiplegic one, the paralytic left leg being dragged in a semi-circle, the toes scraping the floor. Seeing Baba in that condition, even the bravest wept aloud". The wail was so sudden and so loud that we were angrily blamed by many who inferred that it was the end; they cursed our bravado in putting the most precious Life on earth to this risk. "Why did you bring Him down?" they asked. Baba was placed in the Silver Chair, propped up by pillows. As soon as He was placed in position, a pillow was placed over His chest and the limp left hand was lifted by Raja Reddy and placed on it. Seeing this, there arose a gasp from every breast. Baba signaled to me and I knelt at His side to catch what He was trying to tell me. After repeating to Him what I had guessed to be His Message and ascertaining that I had understood Him aright, I announced to the grief-stricken gathering of about 5000 people: "Do not grieve! This is not My ailment. This is an ailment I have taken over. I can never fall ill; No, Never. Do not feel dispirited. If you lose heart, it will pain me." Then, He signed to me to speak to them for some length, and signed that He will speak again, after me. Many felt that He had exerted too much already: they feared the consequence of a further adventure in speaking with impaired resources. I called upon every one to pray to Baba, (propped on pillows on the Silver Chair) the only refuge we knew, to cure Himself at least by the next New Moon ... for "the Full Moon today is blocked out for us by this unbearable sorrow. Let the next New moon become a Full Moon for us all and for the world." Baba signed that the mike be held near His lips. Slowly, He whispered into it, in thick-tongued syllables, "Vinupisthundaa? ", but even we who had learnt to decipher the mushy paralytic alphabet could not make out what He was trying to say. He repeated it twice. Then, some one caught it and repeated it on the mike. Baba was asking them, "Can you hear Me?" This raised another groan: He was heard but, alas! it tore their hearts. It was too indistinct. Evidently Baba was too tired by that attempt to speak, for He gestured for water to drink. It was brought soon by Krishtappa, in a silver tumbler, and held to his lips by Raja Reddy. His palsied right hand came towards it ... He tried to hold it ... His fingers slipped into it ... the fingers dipped ... He sipped a few drops ... He sprinkled, with the fingers of the right hand, a little water on the limp left hand on the pillow above His chest ... He sprinkled the water, faintly shaking the fingers, on the left leg too. He stroked the left hand with the right. And WITH BOTH HANDS, stroked the left leg. He rose; the pillow fell off; we could hear His divine voice calling us, as was ever His wont, "Premaswaroopulaaraa!" He had begun His Guru Pournima Discourse!! O, we had our Baba back again, hale, hearty, holy, healthy, heavenly .... .
People did not believe their eyes and ears. But when they realized that Baba was standing before them, speaking, they jumped about in joy, they danced, they shouted Jais, they wept; some were so overcome with ecstatic gratitude that they laughed hysterically and ran wild amongst the crowds rushing in. Oh! it was the miracle of miracles. It shot us in an instant from the deepest pit of gloom into the Seventh Heaven of Delight. Major Bhanu writes, "The Doctor of Doctors cured Himself in a trice, leaving me aghast with wonder". "Premaswaroopulaaraa" (Embodiments of Love!) "Dikku lenivanikki Devude Gathi", Baba's silver voice awakened all to attention. (For him who has no refuge, God is the refuge). That is the reason I had to take on this disease that one forlorn Bhaktha was to suffer from. He would not have survived it, nor could he come through the four heart attacks I took on. My Dharma is Bhaktharakhana. I had to rescue him. Of course, this is not the first time I have taken on the illness of those I want to save. Even in the previous Sariram at Shirdi, I had this responsibility. This is My leela; My nature. It is part of the task for which I have come, Sishtarakshana". (Had He not declared at Shirdi as Sai Baba, "The sea may turn the rivers back! But I will not neglect My devotees"). He spoke for over an hour with the same eloquence, the same compassion, the same humour, and the same love that He evinces always. Then, raising the voice a little, He said, "I have been keeping back from you all these years one secret about Me; the time has come when I can reveal it to you. This is a sacred day. I am Siva-Sakthi," He declared, "born in the gothra of Bharadwaja, according to a boon won by that sage from Siva and Sakthi [see: RRV-15 and RRV-17a]. Sakthi Herself was born in the gothra of that sage as Sai Baba of Shirdi; Siva and Sakthi have incarnated as Myself in his gothra now; Siva alone will incarnate as the third Sai (Prema Sai Baba) in the same gothra in Mysore State." This illness has to be borne by Sakthi (the consort of Siva), for She incurred the ire of Her Lord by neglecting to notice Bharadwaja for full eight days at Kailas, their Home. As a consequence of the neglect, Bharadwaja had suffered a stroke; Siva sprinkled the restorative water and cured him. Today, you saw the illness of Sakthi (the left half) cured by Siva (the right half) by the same means. These matters are beyond human ken; so, I had kept it away from you so long, but now that within the knowledge of so many, Sakthi suffered and Siva saved, it is time you knew this. The Bhaktha who was saved by My 'taking over' is only the 'immediate' cause; the 'remote' cause is the boon and the retribution. Baba declared. After this disclosure, Baba sang a few songs which He wanted the congregation to repeat in chorus. When He started off in double quick tempo the lines, "Hara Hara Siva Siva Subrahmanyam, Siva Siva Hara Hara Subrahmanyam, Siva Saravanabhava Subrahmanyam, Guru Saravanabhava Subrahmanyam". [Listen to this Bhajan: MP3 & Text ] Dr. Bhanu rushed in but let him explain why he did so. "I forgot I was a volunteer posted outside to keep the crowd in check; I rushed inside to fall at His feet and pray to Him, not to continue that song, I was afraid if His tongue performs the acrobatics, so soon after it regained its normalcy, it might fail and suffer a relapse. But at the very door, I held myself. I remembered the Miracle I had seen with my own eyes. I remembered the sweet voice that was won back in a trice, I kept mum. Who was I to check God? I controlled myself and stayed outside." Baba ascended the steps to the first floor with His usual agility. He announced from the verandah above to the gathering that He would grant every one of them the chance to touch His feet at Namaskaram the next day at 6.30 am. He partook of normal food that night. No one slept: the miracle they witnessed kept them awake in ecstasy. O! within a split second, Baba had given Himself back to the world. Next evening too He gave a discourse. He pitied those who revel in bad news and are eager to circulate it. He declared, "From this day, nothing and no one can stop or obstruct or delay the work for which this Avathar has come. During a previous Advent, only one mountain, the Govardhan, was lifted; this Avathar will lift many ranges. This Ganga will roll majestically on, feeding the roots of all mankind." Referring to this mighty miracle, Baba said, a few weeks later, "Rescuing a true Bhaktha is My Dharma. My Very Nature. Some one asked me whether it was right on My part to plunge thousands into grief, in order to rescue one. Such numerical calculations cannot apply to acts of Grace. I act My Dharma, regardless of how it affects you or him. Rama obeyed His father's desire; He did not desist though all Ayodhya was bathed in tears. The father who had acceded to his mother's wicked desire to exile Him and the very brother who was to benefit by the exile urged Him to stay on. But, He did dot turn back. (See: RRV-10a) The illness that I took on had to execute its Dharma, according to its nature. I allowed it to behave so; for, it is only then that you can observe and imbibe the Glory of the Victory. Krishna could have waved off the rains that Indra threatened to pour on the region of Brindavan, but, He permitted the God of Rains to carry on His Dharma. And, He utilized the occasion, to let the Gopis and Gopas have a glimpse of His Glory! He lifted the Govardhan Mount on His little finger to save them from the devastating downpour. (See: BV-38) He, observed His Dharma, the Dharma of Bhaktharakshana (Granting succor of Devotees). Now too, as in that Age, the Purpose is the Proclamation of Divinity." "You must count another benefit too, though you may not be aware of it. I know to what depths your devotion to Me reached, as a result of this 'illness' during those eight days. You would not have achieved that single pointed meditation on Me, even during years of Tapas." He knew that all those that knew of the illness were spending those awful days in prayer, penance and penitence. They prayed that He may rise from the sick-bed with more resplendent glory, that they be pardoned for their errors which may affect His Majesty, and that their suffering be accepted in lieu of what He was 'ailing' from. The Darsan of Baba is a creative chance to transmute the base metal in us into gold. To listen His words is to be charged with the current of spiritual regeneration. To read His writings is to feed your intellect with wholesome sustenance and purge it of egoistic dross. This Heavenly Ganga vitalizes, fertilizes and purifies all who dive into it.